Ajax returns to an age of relentless war, his mind ravaged by terrible visions and with his rifle at the ready. An axe age. A sword age. A wolf age. The Hive Mind reveals strange new ships and hideous new creatures as the extinction fleet strives to feed its endless hunger. Swarms strike all along the border worlds, seizing as much raw biomass as they can and making their escape before human forces can respond. 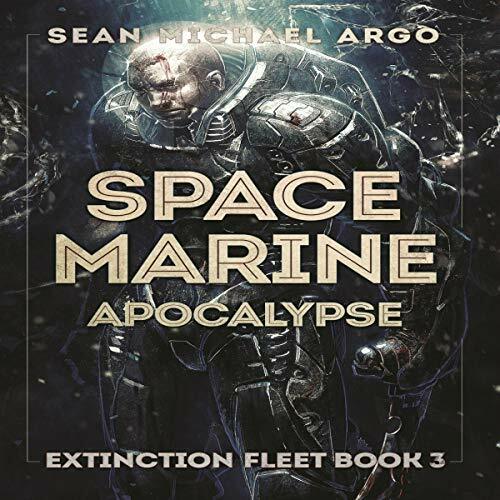 An experimental cadre of Bloodhound marines are created to oppose the garm raiders, even as a new Watchman ascends to take supreme command of the Einherjar. The star fortress Bifrost must defend itself from a titanic assault as garm splinter fleets push through the front and strike at the heart of civilization itself. All the while a hybrid uprising organized by the traitor Loki threatens to bring down humanity from the inside out. Amidst the chaos the Einherjar must rally their strength and fight a desperate last stand with the fate of a species hanging in the balance. Once more pulse rifle must meet tooth and claw in the ultimate battle for survival.